Roses, raindrops…and all kinds of everything! Mid-May…the weather, suddenly very warm, with occasional severe rainstorms. My old roses are putting on new growth and blooming profusely. This is usually the time I get asked questions over and over about….eeeeek, black spots on rose foliage. Most old roses are disease resistant. I can assure you, that as an organic gardener following good growing practices…the spots you find are usually just damage from rainstorms…especially if there are only a few affected leaves. Dreaded black spot shouldn’t happen if you follow my advice on planting and caring for old roses…new hybrid roses, well, that’s another story! Check new growth as it appears…no spots?? ?…then just whack the bush with a broom to knock off old leaves. If you have a problem, let me know and I will send you the recipe for a simple treatment. Roses need much the same as humans: fresh air, sunshine, water, a well-balanced diet and cleanliness. 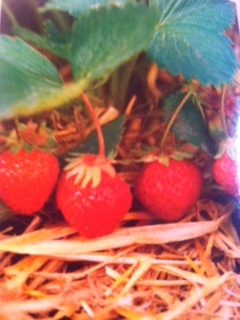 Some things to do now..plant morning glories, sow zinnia, sunflowers and other late summer bloomers, clear weeds from around any fruit trees and then mulch well after a good watering or rain shower, put pine straw or straw around strawberry plants and if you have problems with birds snacking on your berries…put netting over the plants. JUST SAY NO TO JUNK FOOD! Among the many pleasures I get from my garden is picking fruit and produce as it comes into season and thinking…how lucky I am to be able to grow all this bounty…asparagus, early alpine strawberries, figs, blueberries, tomatoes, peppers, potatoes, blackberries and even raspberries grown over an arch into the garden. May in the garden is glorious growing and the beginning of multitudes of blooms…Your garden borders should not be overwhelmed by weeds…I know you mulched really well as I described in my planting guide. If not, uh oh! Pull out weeds as you find them, do NOT let them get ahead of you. Walk your garden 2-3 times a week, bend or squat and pull! This GREEN GYM is great for our mental as well as physical health…walking, riding a bicycle and gardening are exceptionally easy ways to improve fitness. This activity doesn’t just burn off calories and increase muscle power, it helps with emotional strength and creates an all-around sense of well-being.When we see trees, fields, flowers, green spaces or even the ocean…the overwhelming feeling we have is one of peace. Blood pressure and tensions drop and we begin to feel the sense of belonging and well-being that Nature gives us. 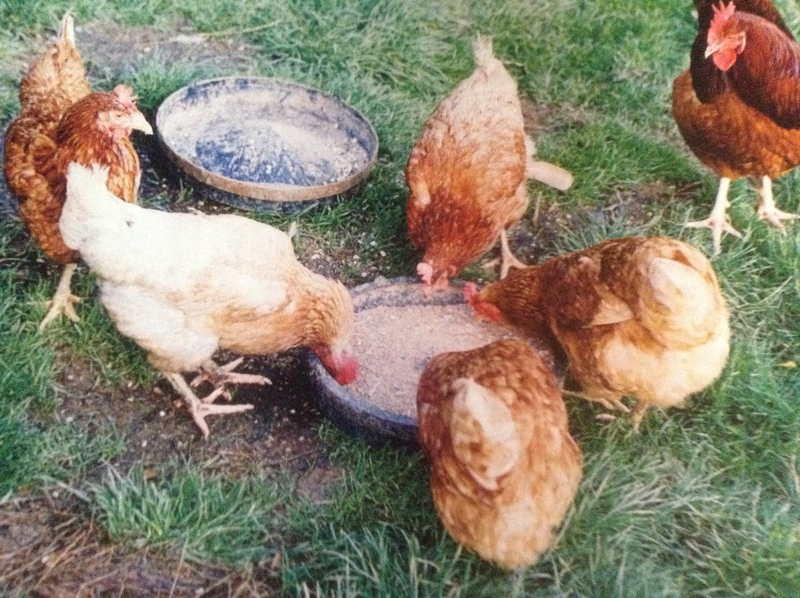 The Pleasures of Poultry…these free-ranging chickens enjoy a happy life and some of them eventually will make great stock once their laying days are over. Of course, I prefer to let them range freely in my garden as great pest controllers till they can no longer work. Their well-being is the result of a healthy diet and growing conditions that reflect a bird’s natural desire to roam. Walking the trails this morning, I give thanks for all that is beautiful and special about the countryside…sadly, I refuse to be thankful for TICKS!! 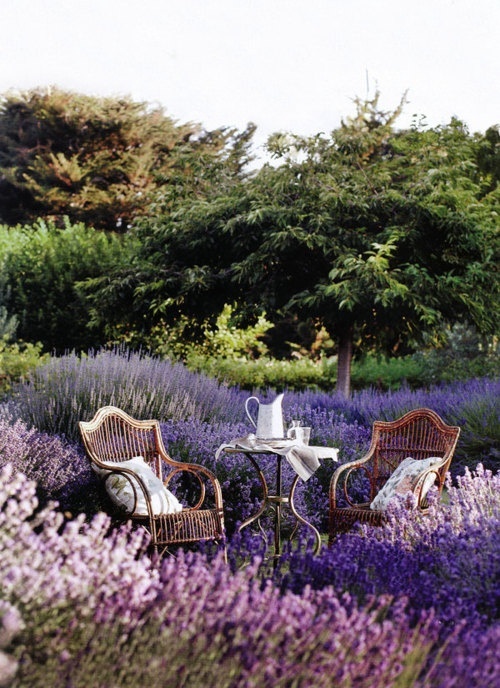 LAVENDER…my favorite herb. 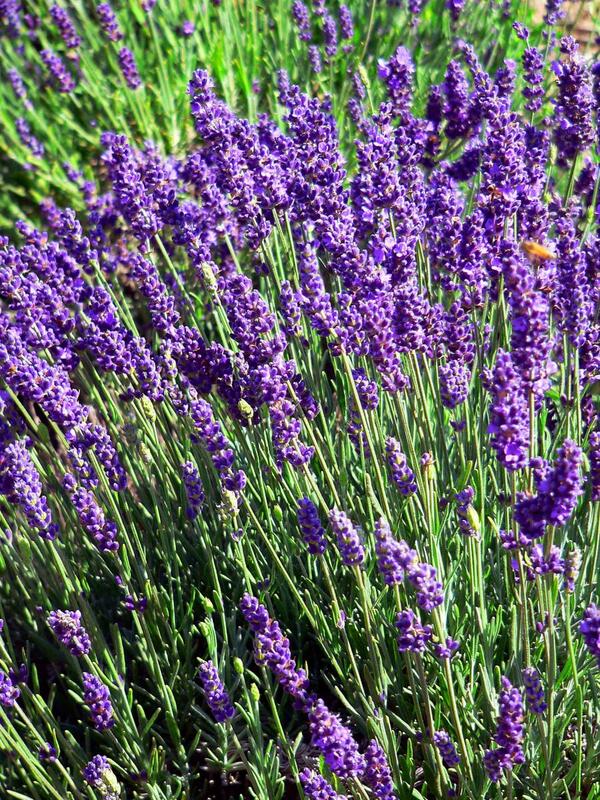 I just planted several new pots of ‘Provence’ lavender and ‘Grosso’ lavender in one of the few sunny spots left in the garden. Both varieties are great for powerful scent and high oil content. 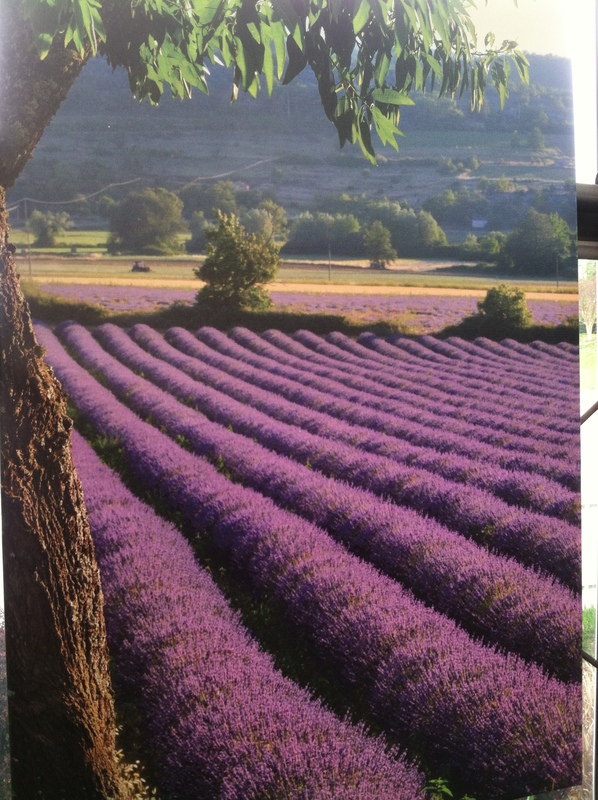 The ‘Provence’ plants that I put in several years ago still allow me to harvest 2-3 times each year. The bloom spikes are now a gorgeous rich purple and I’m ready to harvest for making bundles. One of the many advantages of living in the country is that you see the stars at night. Far away from the light pollution that surrounds our towns and cities, you can still look up into the blackness and find all the constellations learned in childhood. There is a special APP for a phone that is smart enough to figure out how to download…the app allows you to hold your phone up to the sky at night and find the stars…it’s called SKYVIEW. Look for it and enjoy a night walk…I do every evening with my furry best friend. Another joy of a summer evening…Holly and I love to take a walk at dusk, when the day has cooled, to watch the bats leave their roosts and swoop up mosquitoes and other bug pests. They are so active at this time of ‘day’ I feel that at times I am in the middle of aerial combat. Holly walks ahead along a wonderful hedge of elaeagnus…pronounced “el-e-ag-nus”… This shrub is in the RUSSIAN OLIVE family and is splendid used as screen plants. They grow very fast becoming a dense, very tough hedge that tolerates seashore conditions, heat, wind and once established, considerable drought. 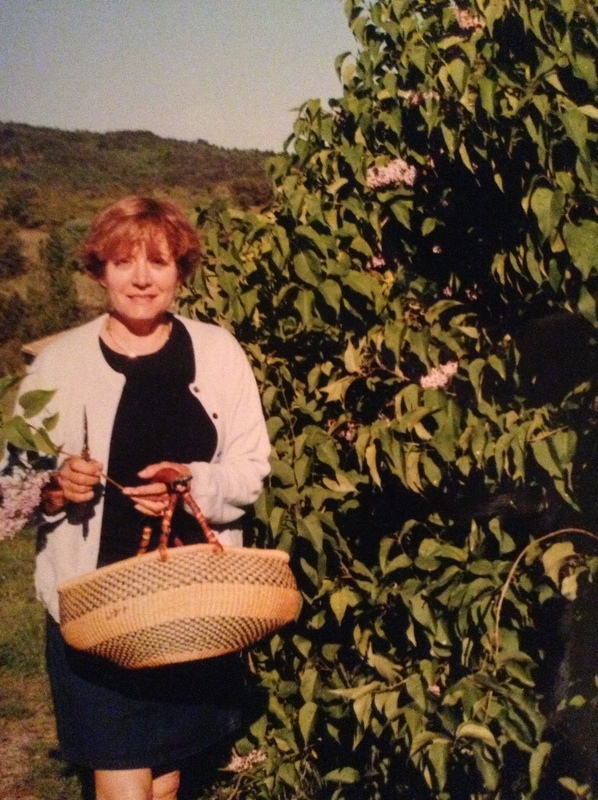 My FRENCH sister, Jeanine, is shown picking lilacs in a small village in Provence…we spent the night in an old Auberge with the windows open and woke up to the fragrance of the lilac blossoms drifting into the bedroom. I planted a new lilac bush in the garden that is a re-blooming variety…so far the fragrance is heavenly, bloom a soft lilac color and there are actually some new branches budding…will keep watching! Time to enjoy a glass of Prosecco for now…as the weather continues to warm I’ll move along to my favorite French Rose…more later…ENJOY!